The property is a two story office building comprised of 12,000 SF of professional office space currently divided into 8 units. The property is located within the Township of Barnegat in Ocean County, NJ. Oak Lane Country Club is an 18 hole, 6,680 yard, par 72 championship golf course located in Woodbridge, one of Connecticut’s most affluent towns. 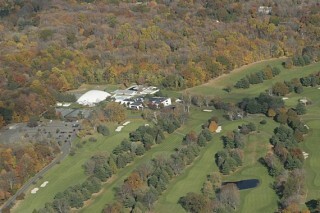 The 180 acre private golf course was comprised of a fee simple interest and a leasehold interest due to expire in 2016. The property is a 76.70± acre development site. Several permitted uses including; single family, subdivision, multi-unit development, recreational, and more. Currently, the site has approvals for a 240 unit development for elderly housing (160 independent living units and 80 assisted living units). All public utilities are available. R-15 Zoning. The property consists of a 76 unit garden apartment complex comprised of 9 two story multifamily residential buildings with ample on site paved parking. The property contains 18 one bedroom units, 44 two bedroom units and 14 three bedroom units. The property has one access point of ingress/egress along the northern side of Joseph E Boone Boulevard, formerly known as Simpson Road. The property is located within Fulton County just 3 miles northwest of Downtown Atlanta. Chapter 7 Bankruptcy Liquidation Auction. The offering consists of 3.14 acres of level vacant land comprised of two contiguous lots located mostly in Ewing Township in a redevelopment zone known as the Olden Avenue Redevelopment Plan. 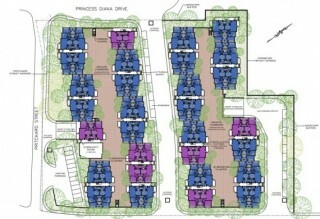 These parcels are prime for residential development. The property is just steps from the new Capital City Sports Complex that was completed less than 24 months ago. The Property is located in the heart of the 'Daniels Corridor' in Ft Myers. It has more than a half-mile of frontage along I-75. The Southwest Florida International Airport is a ten minute drive from the site, with limited service hotels, and a variety of retail and QSRs along Daniels Parkway. Lee County is consistently one of the most rapidly growing counties in the country which saw a 40% growth in population between 2000-2010.